ONE of the regrettable uses of Linux is the assassination business of blowback experts at the CIA (those who ensure the terrorists keep hating us more and thus multiply through recruitment, necessitating higher black budget for the CIA and NSA). Now that the CIA suffers major blowback in the press  (hundreds of articles confirming its role in the Iran coup following declassification) there is an attempt to stop further disclosures  and more violence  which does nothing more than add political enemies . The CIA’s recent propaganda film, ‘Zero Dark Thirty’, is getting criticised  not for its advocacy of torture (there are now movies in the pipeline to advocate surveillance and assassination, based on links we published in daily links) but for disclosing information selectively, not in order to serve justice but in order to drive agenda (more war, more aggression). Drowning out the drones in Yemen? 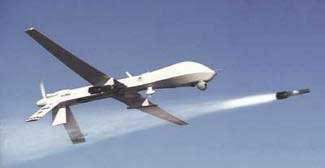 The drone terrorism perpetrated by the United States does not justify a counter terrorism by local actors. But when I see a child crying from the sound of a hum, or wetting his pants from the sight of an approaching drone, or being pulled out dead from the aftermath of a drone killing; when I hear that I find it hard to resist wondering. Sanaullah said that the federal government was trying to develop a consensus on national security issues including drone attacks. He said that the draft of the resolution should at least be amended so that it stated that the house supported the federal government’s efforts to end drone attacks. Prosecutors in the Guantanamo war crimes tribunal are pushing the judge to set a September 2014 trial date in the 9/11 case, a decision that could hinge on how deeply the defense is allowed to delve into the defendants’ treatment in secret CIA prisons. A U.S. military judge, Army Colonel James Pohl, will hear arguments on the issue in a weeklong pretrial hearing that begins on Monday at the Guantanamo Bay U.S. Naval Base in Cuba.